The Dart 16 and Dart 18 performance catamarans are raced in Irish Clubs by crews of all ages and are also ideal for fun 'off the beach' sailing. The Dart 16, with its furling jib and quickly reefed mainsail, is perfect for safe fun sailing. 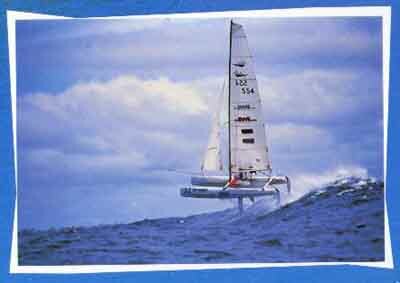 In the mid-80s there was a growing fleet of Cruiser-Racers between 22ft and 35ft. These catamarans and trimarans raced at Multihull events with the smaller racing catamarans, usually racing on a longer offshore course. Some were damaged in Hurricane Charlie and the fleet dispersed in the late eighties. There are quite a few of the larger catamarans and trimarans in clubs around the Country. 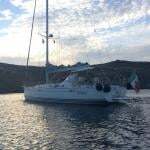 We would like to establish contact with the owners of these Multihulls with a view to keeping a database of these boats and hopefully, organising some events, maybe in conjunction with one of the events on the Catamaran Racing Calendar. This could take the format of a Rally, perhaps with some handicap racing. 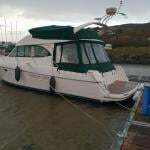 If you have a Cruising or Racing Multihull over twenty feet in length, based in Ireland, please email us at [email protected] or telephone 353 1 4565060. If you have stories and photos of your cruises and trips around Ireland or abroad, we will print them on this page. We hope for a good response and we will keep our website page updated. Graham Smith wrote, in Afloat's March 2009 issue: "There are 43 multihulls – comprising various catamaran types – racing actively in Ireland in six locations, statistics which confirm that there has been a small increase over the past year and underlining the ongoing passion which the multihullers have for their particular branch of the sport. Almost half of them made it on average to the five regional events held during the season, which saw four different winners. Andrew Gallagher of Royal Cork ended up as National Champion in a 25-strong fleet on his home territory, having also won the Easterns on Dublin Bay with crew Jimmy Nyhan. Clubmate Rob Doyle won the Southerns (also at RCYC) and Blessington’s Simon Kearns took the Western title, but 2008 was otherwise the year of the Ballyholme pairing of Adrian and Mike Allen. Together they won the Northerns and Inlands but also had the distinction of topping the leaderboard at the Brightlingsea Open British Hurricane 5.9 event. National Champion: Andrew Gallagher and Jimmy Nyhan, Royal Cork YC"